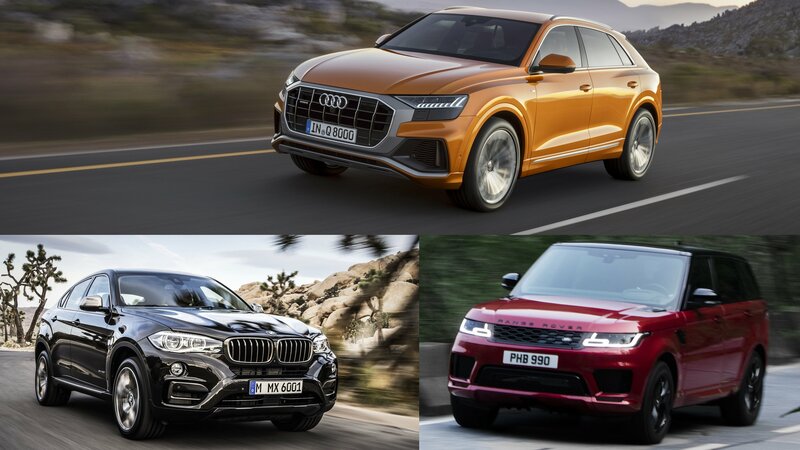 Which is Better: The Audi Q8, The BMW X6, or The Range Rover Sport? Audi just extended its SUV lineup to include the Q8, essentially a sportier proposition to the utilitarian, wagon-like Q7. The new crossover marks Audi’s entry in the coupe-style market, a playground dominated by the BMW X6 since 2007. The segment also includes the Mercedes-Benz GLE Coupe and the boxier Range Rover Sport. With a new player on the market, it’s natural to ask yourselves which one is better. We’re here to answer this question by comparing the Audi Q8 against the BMW X6 and the Range Rover Sport. We left the GLE Coupe out of the game simply because it’s based on a model that was launched all the way back in 2011 and a new-generation model is just around the corner.